Would you like people to be able to apply/enrol online? Or perhaps you would like to get feedback from existing families about your service, its policies or programs. 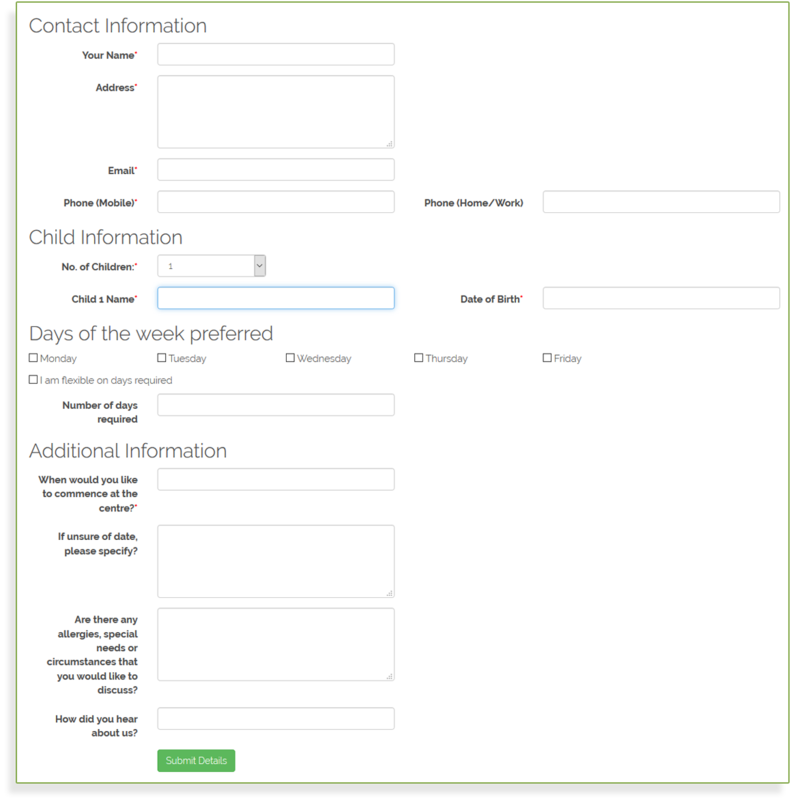 We can create customised forms to suit what ever your needs. Online Enrolment Application Forms, Waiting List Forms, Parent Feedback Forms, and Policy Review Forms are all things you may like to include on your website. As the requirements of these forms will differ from client to client - these are generally quoted on an individual basis. Please contact us to discuss your online form requirements. Below is a sample of our Standard Online Enrolment form. This standard online enrolment form can be added to any of our website packages at any time for only $99. It will be custom styled to suit your website - eg layout, colour and font.